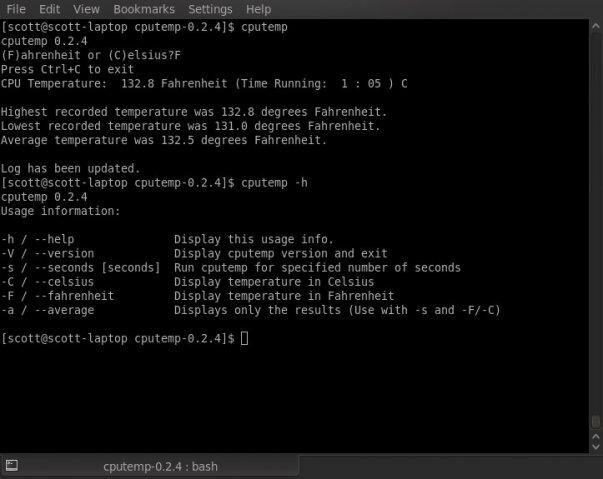 After a complete rewrite, cputemp is ready to graduate to 1.0! In this version, the code has been entirely rewritten to be object oriented to accommodate future projects and to allow for easier maintenance. The core functionality and UI hasn’t changed, but there are some more installation options and newer kernels and hardware are supported. Additionally, now degree measurements are available in Kelvin.